Parrot Anafi vs Mavic Air: Which is the Best Compact 4K Drone? With the release of the new Parrot Anafi does the Mavic Air have some new competition? We expected Autel to be the one to challenge DJI but Parrot has decided to up their game first. The Anafi is a 4K folding drone like the Mavic Air, so how do they compare? 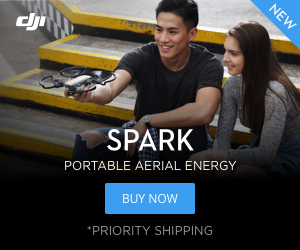 Should you get an Anafi or the Mavic Air, or maybe even a Spark? Let’s take a look. If you want to see how the Anafi stacks up against the Spark we took a close look at that HERE. We also dive into the details of the flight modes in our recent Anafi video, which also has some comparisons to the Mavic Air. The DJI Mavic Air vs the Parrot Anafi. Both the Mavic Air and the Anafi are capable of capturing 4K footage, so which one is better? The Anafi can capture 4K at 30 fps and 1080p at 60fps whereas the Mavic Air can film 4K at 30 fps and 1080p at 120 fps. The Anafi has a 21 MP camera compared to the 12 MP camera of the Mavic Air. Both are capable of HDR (high dynamic range) and have a maximum bitrate of 100 Mbps. The Anafi camera is capable of lossless digital zoom of up to 2.8x but the Mavic Air has no zoom capability. You can see both cameras peeking out in their folded state. With all of these facts under consideration, it is just too soon to tell. The Mavic Air is one of our favorite flying cameras and early shots from the Anafi look really nice, but the video may be a little choppy. The Anafi relies on a two-axis gimbal combined with electronic image stabilization to allow for smooth video. The Mavic Air uses a three-axis mechanical gimbal. Typically electronic image stabilization degrades the quality of the video by cropping out pixels, but the 21 MP camera of the Anafi ensures there is plenty to be able to do so without sacrificing quality. The Anafi is the first drone we have seen with the ability to look up a full 90 degrees. This allows for shots that the Mavic Air or really any other drone just can’t capture. Purists might scoff at only a two-axis gimbal, but Parrot has done their R&D for sure. Both drones are compact when folded. Both of these drones are compact and portable with folding arms. The Anafi is longer and skinnier when folded and the Mavic Air is shorter and thicker. The Anafi is lighter by 110 grams (320g vs 430g) but neither drone is heavy with both of them weighing less than one pound. It is quite an achievement that the Anafi is lighter than the already-lightweight Mavic Air. The Mavic Air has Rocket, Dronie, Helix, Boomerang, and Asteroid to go along with follow me and point of interest. You won’t be able to use waypoints or do 3D mapping unless you are using 3rd party software on the Mavic Air. Our favorite unique mode on the Mavic Air is the Boomerang. Despite not having lookup capability, DJI has managed to stitch together some pretty good 360 images and we are surprised this capability isn’t there yet on the Anafi. We hope Parrot upgrades the firmware soon after release. Take a look at the impressive DJI Mavic Air. The Anafi has a maximum flight time of 25 minutes, whereas the Mavic Air tops out at only 20. Five minutes may not be a lot, but it can be enough to make a difference. It is amazing that Parrot has eeked out this much flight time in such a small drone. Both the Mavic Air and the Parrot Anafi have a range of 2.5 miles. The Parrot Anafi is a quality option, but the Mavic Air is an excellent drone. You’ll have to make your own decision. They are both solid drones. If you want to get something unique with the ability to take shots that no other drone can capture then pick up the Parrot Anafi. 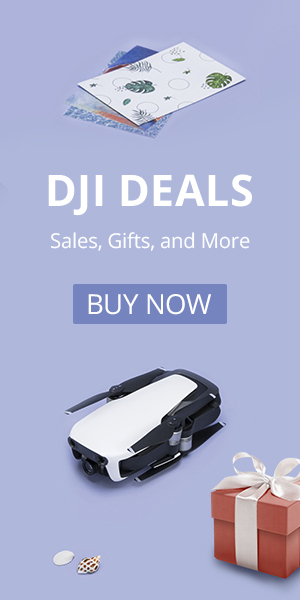 If you want something that already has a proven track record then go with the DJI Mavic Air. There really might not be a wrong answer here.